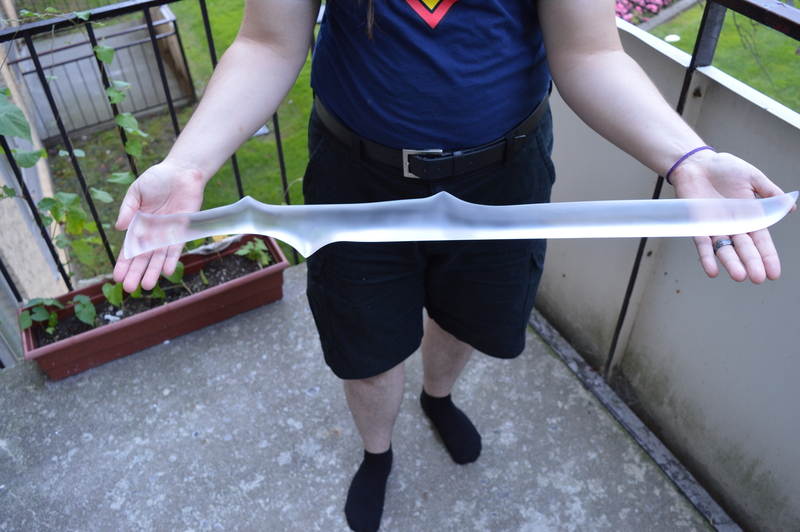 Acrylic is a hardy, robust material and for this reason, the Shadowhunter blades I make rarely suffer any kind of damage. I have actually kicked one of my show blades to show a disbelieving ComicCon security guard that it was not, in fact, glass. That said, the swords sometimes get surface scratches and bits of paint from dinging into walls and being pulled in and out of their sheaths at the convention hall. Fortunately, it is quite easy to fix these. I’ll show you how with one of my favourite blades: Azrael. This blade is the first of its design. My good friend Sister Verbena brought it to me in her suitcase when she visited this past weekend. As expected, it had a few surface scuffs. I suspect baggage handlers amuse themselves by playing kickball with luggage when no one is looking. This was the largest of the scuffs. Barely a centimetre long. An easy fix. 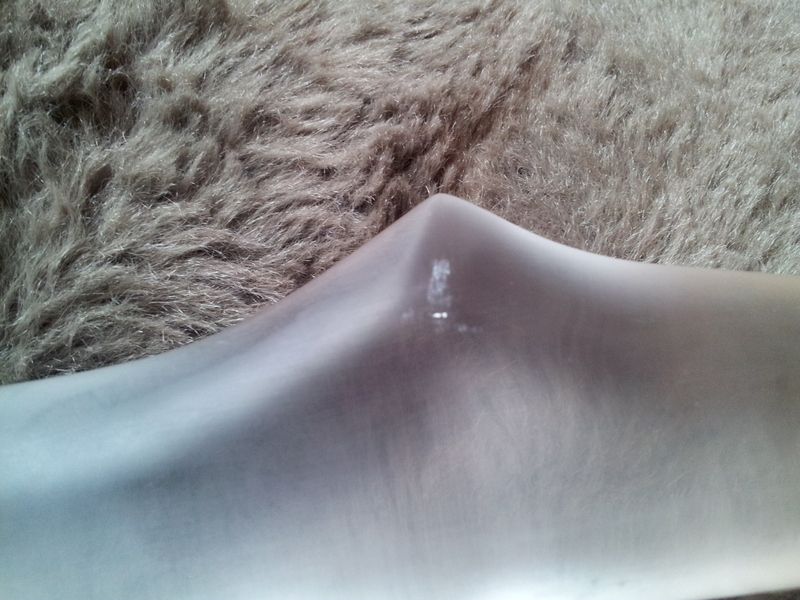 If you get a shallow scratch or scrape on your Seraph Blade, all you need to do is the last two or three steps of the final polishing I give to each sword. Step 1: Fill a tub with warm water. It doesn’t have to be warm. I just like it that way because cold water is unpleasant to stick my hands in for any length of time. It also doesn’t have to be a tub if you haven’t got a suitable vessel. You can do this under running water. Put the blade in the water. 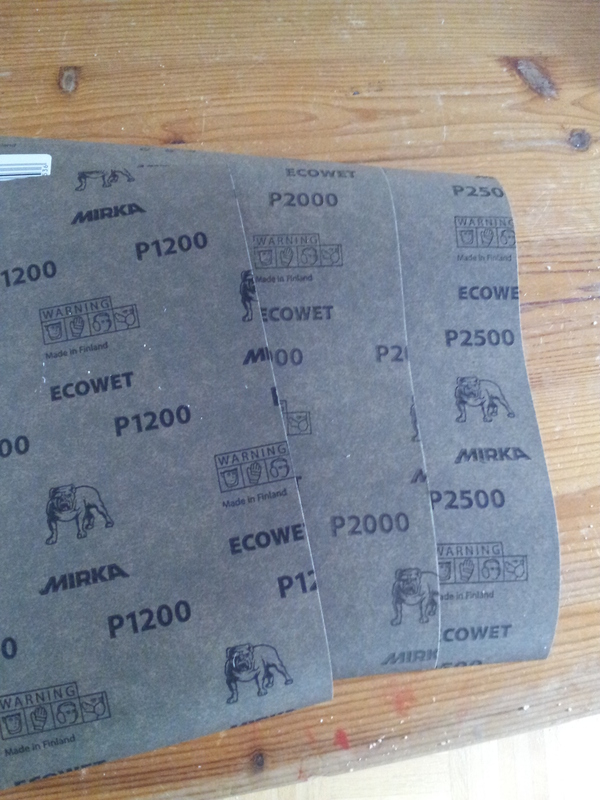 You’re going to want the automotive sandpaper between 1200grit and 3000grit. For this shallow scrape, I chose 1200, 2000, and 2500. If you get a scratch that is deeper, you’ll need a lower grit to give it a more thorough buffing. 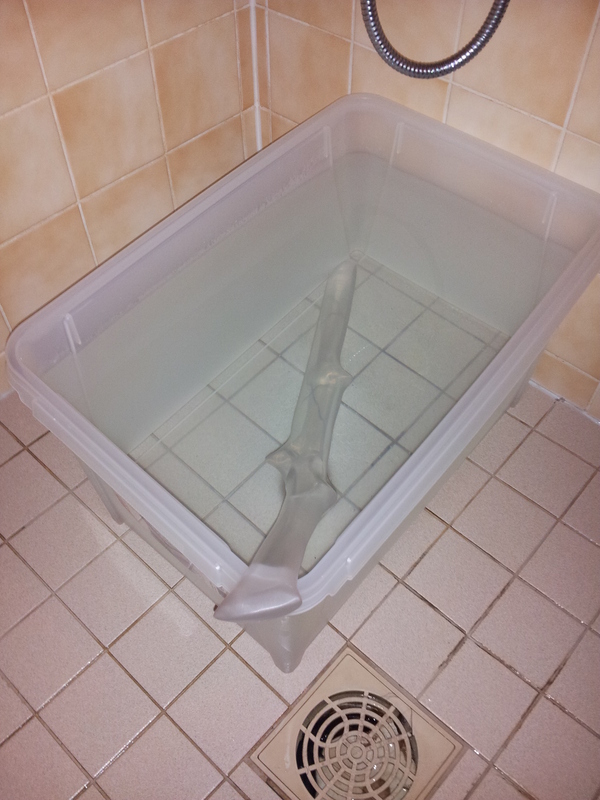 Step 3: Sand the sword in the water. For a truly smooth finish, you are going to have to get the sword and sandpaper wet. This washes the tiny particles of plastic AWAY from your blade so it doesn’t scratch it further. It also ensures that the sandpaper remains flexible enough to follow all the contours of the sword. As an added bonus, wet-sanding means that the plastic dust stays in the water and doesn’t float up in the air so you will not need a protective mask and no one will yell at you for getting plastic “snow” everywhere. No mess, no fuss. Stop laughing at my floral pants. They’re comfy. 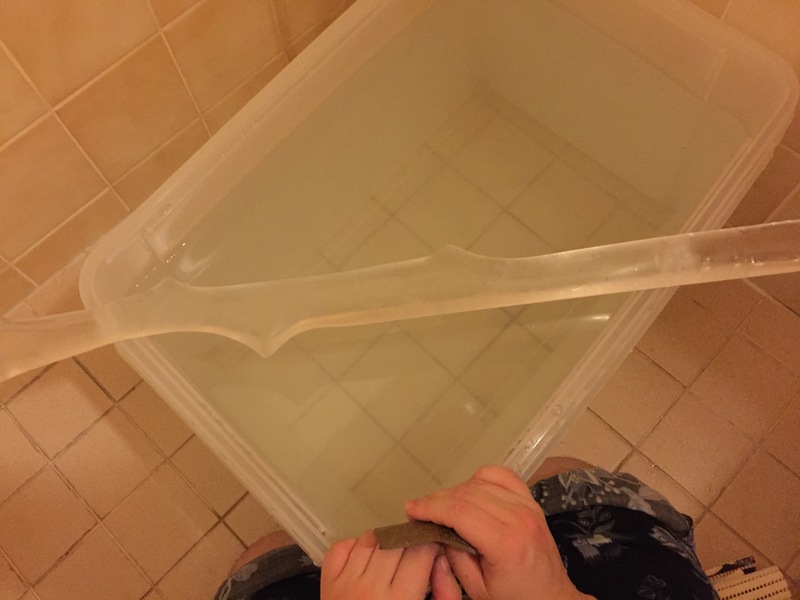 Step 4: Rinse the sword once more and let it dry. Yep, that’s it. You’re done. You can give it a polish with a chamois cloth or microfiber screen-cleaning cloth if you like after it is dry. That removes fingerprints from handling the blade. But other than that. There’s really not much you need to know about maintaining your Seraph Blade. It’s quite robust. If you need to, you can even bring small squares of sandpaper with you to an event in case it acquires a scratch just before a photo shoot or competition. You can absolutely do this in a bathroom sink. No more worries about letting your friends and younger siblings handle your weapon of holy light. There’s nothing quite like smacking a glass-like piece of art against your boot and watching the costume judges’ lives flash before their eyes. They’re SO sure it’s going to break. 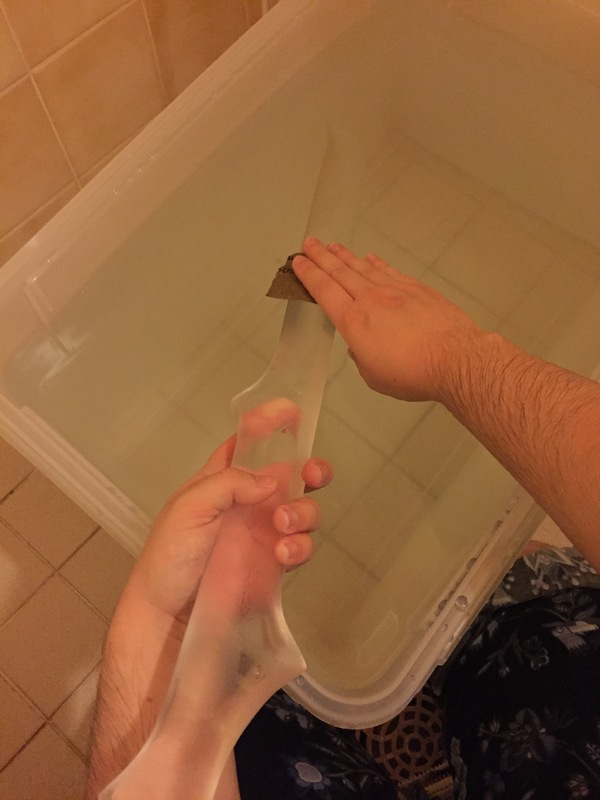 I almost forgot to mention this, but you absolutely should not use acetone when cleaning your Seraph Blade. You may have heard that you can polish certain plastics with nail-polish remover and other acetone solutions. Acrylic is not one of them. It will make the blade cloudy and cause the surface to acquire networks of hairline cracks that we call “crazing”. Plain water and a soft cloth are all you need to polish an acrylic blade. Don’t use chemicals on it unless you’re absolutely sure that you know how it will react. So that’s pretty much it for care and maintenance. A little buffing and polishing now and again if you fancy refreshing the finish. Anything short of setting it on fire or trying to hack off a car door isn’t going to do much to it. Hunt without fear Nephilim! Your blade is probably stronger than most of your bones! how long do you make them? The longest blade I make is Azrael at 30 inches. Previous Previous post: Workshop is Operational! Next Next post: Short Swords Cut and Ready for Shaping!